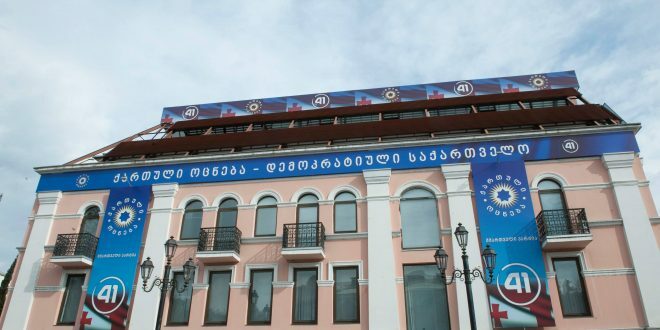 The ruling Georgian Dream–Democratic Georgia (GDDG) party gathered on January 24 under the chairmanship of its leader Bidzina Ivanishvili, to discuss judicial reform, as differences among GDDG MPs regarding the nomination of the Supreme Court candidates have escalated into a public discord. The lawmakers from both factions attended, including Eka Beselia, who resigned as chair of the Legal Affairs Committee in December 2018 citing her disagreement with the list of nominated Supreme Court judges. After the meeting, GDDG MPs said they mainly focused on the procedures and criteria for selecting the candidates of the Supreme Court judges. MP Archil Talakvadze, leader of the parliamentary majority group, said that the ruling party has enough resources to reach “principled agreements” on the courts. “The meeting was very important. We actually dedicated the whole time to deliberations on the judiciary and I think that we have all necessary resources to agree on the guiding principles in the process of composing the Supreme Court,” Talakvadze told reporters after the meeting. Senior GDDG MP Giorgi Volski said that the meeting ended without particular results largely due to the differences within the party that, according to him, “is a normal process.” “There are some threats… [of] destabilization, willingness of our opponents and the [United] National Movement to undermine the situation through the judiciary,” he noted.